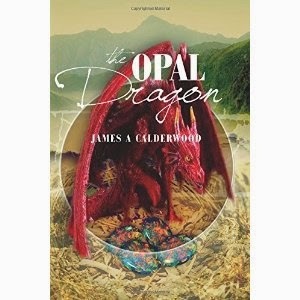 "The Opal Dragon," by James A Calderwood, is a thriller about a young man with a rough upbringing who turns to crime and finds himself in a cat-and-mouse chase with the police. The protagonist is Ali, the son of a local prostitute. After robbing an old merchant, Ali flees to the mountains to his Aunt Sasha. What ensues is a chain of events filled with suspense, intrigue, and action. There is a subplot involving seekers of the black opal, which adds another layer to the story. Although this is a thriller filled with action and adventure, characterization is a strong element of the story. You really start to understand Ali the further you get into the plot, which makes the story all that more engaging. If you're a fan of thrillers with strong characters, I'd recommend this book to you.